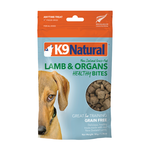 Buy K9 Natural dog treats online at Pet Circle and enjoy the convenience of delivery straight to your door, always at the best price. 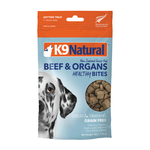 When it comes to pure and natural dog treats, you can't pass up K9 Natural's selection. 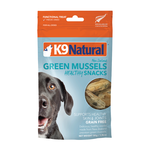 Made from 100% natural New Zealand meat cuts, as well as blue or green mussels, these treats aren't just delicious, but better for your dog than ordinary supermarket treats. Whether you need scrumptious training reward treats or a chew that's great for your dog's teeth, you'll love this wheat-, rice-, soy- and gluten-free variety of treats that is free from artificial colours, flavours and preservatives.